If you are interested in getting completely out of debt, paying off your mortgage may be the largest hurdle. Here is a list of strategies for paying off your mortgage early. Most of these strategies can be evaluated using the free Home Mortgage Calculator spreadsheet. With that spreadsheet you can estimate how much overall interest you can save as well as see how many years you can knock off the mortgage. Before I start talking about the strategies, you should know that paying off a loan early means that you have to make extra payments on the principal. Assuming that foreclosure and bankruptcy are not options you want to consider, you eventually have to pay back what you borrowed, plus some interest. Most accelerated mortgage strategies involve either a method for making extra principal payments, or a method for reducing the interest portion of the payment so that more can be applied to the principal, or a combination of both of these methods. IMPORTANT: When making an extra payment on the principal of a loan, make sure to find out what the lender requires from you to indicate that the payment is principal-only. It might involve writing "principal-only" on the check, or selecting a "principal-only" option when paying online. You don't want your extra payment treated as just a prepayment or early payment of the next bill. The following strategies are not necessarily exclusive. You may be able to mix and match some of them. Selling your home to either rent or purchase a smaller home with the equity that you've built up is the fastest way that I know of to get out from under a heavy mortgage. Unfortunately, if you currently owe more than your home is worth, this might not be an option (or at least not as simple or pleasant). I've had more questions about this over the years than any other option. This is a common term used for Canadian mortgages, but people often confuse "accelerated" plans with normal bi-weekly payment plans. Paying bi-weekly (every two weeks) vs. monthly does almost nothing to help you. It is the "accelerated" part (the extra payment) that does the trick. In short, the "Accelerated Bi-Weekly" payment is 1/2 of a normal Monthly payment, but you end up making 26 payments per year (instead of 24 if you were paying a true semi-monthly payment). This is a convenient way to make extra payments on the principal automatically every time you get your bi-weekly paycheck. The effect is that by the end of a year, you will have made roughly the equivalent of 1 extra monthly payment towards the principal. The amount of time you can shave off your mortgage using the accelerated bi-weekly approach does not depend on the size of the loan, but it does depend on the interest rate. Here is a table that shows how many years you can shave off a 30-year mortgage based on the interest rate. BEWARE: Be careful when considering using third party equity accelerator plans that charge fees for managing your bi-weekly payments. If the lender itself doesn't offer a true accelerated bi-weekly option, then the third party might just be keeping your bi-weekly payments on hold, paying the normal monthly payment, and then making an extra principal payment a couple of times per year ... something that you can do yourself without any fees. A smart home buyer will purchase a home only if they can afford the 15-year mortgage payment. Contrary to popular belief, getting a 30-year mortgage and paying as if it is a 15-year mortgage is NOT the same as getting a 15-year mortgage from the get-go. Why? Because a 15-year mortgage will almost always have a lower interest rate! You can still make the effort to schedule your extra payments based on whatever end-goal you want to achieve. Perhaps you can't afford to pay off your home in 15 years, but maybe you could try for 20 years. The limit to how fast you can pay off your mortgage will depend on how much extra you can afford to pay each month. That is why the Home Mortgage Calculator is set up to let you enter the extra payment amount rather than how many years you want to knock off. However, you can just iterate (change the inputs to check the results) to figure out how you could reach your 15-year or 20-year payoff goal. 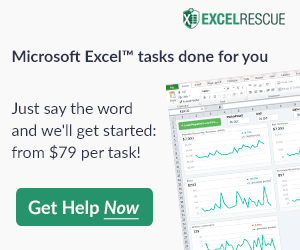 Hint: If you are using Excel, you might want to try out the built-in Goal Seek tool. Making unscheduled extra principal payments is great. In recent years, this method has received a fancy name: "debt snowflaking." Some people (myself included) like to look at these types of extra mortgage payments as an alternative to investing (see this article). If you have a 6% mortgage, and the alternative is to put the money into a 2% CD, the mathematically superior choice is to put the money towards paying off the mortgage. How much time you can knock of your mortgage depends of course on how much and how frequently you can make extra payments. The Home Mortgage Calculator was designed to let you add these types of unscheduled extra payments and see what effect they'll have. 5. Don't Squander Your Tax Deduction! If you qualify for the home mortgage interest tax deduction, the tax deduction is NOT income. It is tempting to think of it is as income or a nice windfall if you get the money back in the form of a tax refund, but it is NOT a tax CREDIT. It is simply a "discount" on what you have to pay to the government or a little "money back". Think of it this way ... if I made you pay me $100 each month and at the end of the year I gave you back $200, is that a deal you should be excited to jump into? Let's hope you said no. So, what I propose is this ... figure out how much of your tax return is due to your mortgage interest deduction and then make an extra yearly payment on your mortgage equivalent to that amount. As you pay down your mortgage, the amount will decrease (because you will be paying less interest and therefore your tax deduction will decrease). The result ($2000) is approximately the tax returned for that year. When I ran a simulation using the Home Mortgage Calculator, I was pleasantly surprised at what I found out. For a 5% rate and a 25% tax bracket, putting the tax return towards the principal each year should reduce a 30-year mortgage by 6.5 years! On the lower extreme, a 4% interest rate for someone in the 15% tax bracket would knock off about 3.5 years. If you are in a high tax bracket and/or have a high interest rate, you would do well to not squander your tax return. Alan Atack, author of The Thinking Man's Mortgage talks about quite a few different mortgage-payoff strategies (for the New Zealand audience). I worked with him on the creation of a New Zealand version of the home mortgage calculator, which he uses in the book to demonstrate some of the strategies. When I read the final draft I was pleasantly surprised to learn a very interesting new strategy. Mentioning this strategy was actually the motivation for writing this entire article. Alan has a chapter in his book titled "Demolish a Year off Your Mortgage" where he shows how to plan extra payments that will let you reduce your mortgage by one year. I really like this approach, because it helps you set a series of smaller goals instead of just one very long-term goal. Like most debt reduction strategies, it's more about willpower than about the math. The more often you can feel that sense of accomplishment, the more likely you are to keep up the motivation to reach your final goal. This should be obvious, but to make larger extra payments may require you to cut back on your other expenses. Do you really use that gym membership? Are there other "luxury" expenses that you could easily do without for a while? If paying off your mortgage is just the last hurdle in your quest to become debt-free, you may have already made significant budget cuts to help you pay off credit cards or other loans. Take advantage of the willpower and motivation that it has taken to get to this point and apply your entire snowball towards your mortgage. If you have more than one mortgage on your home, pay off the one with the lower balance first, simply for the psychological effect that will have. If refinancing allows you to significantly reduce your interest rate, it might be worth looking into. One of the main considerations is whether you will be in the home long enough to see the benefit, due to the refinance closing costs (which might be around $4000). With a lower interest rate, your required total monthly payment will be less (assuming you don't change the term of the loan). If you increase your extra principal payments so that you are paying the same total as before the refinance, then you may be able to shave a few years off the mortgage. Make sure to run plenty of simulations if you decide to go this route, and don't forget to account for the time-value of the closing costs. Although some costs may be paid out-of-pocket, for the sake of simulation you might increase the loan amount by the amount of the closing costs. An Offset Mortgage is a type of mortgage offered only in some countries and by some banks, where a non-interest bearing savings account (the "offset account") is linked to a mortgage account. When the interest is calculated on the mortgage, the principal on the mortgage is offset by the balance of the savings account. For example, if you owe 100,000 on your mortgage and your offset account has a balance of 20,000, then the interest is calculated based on 100,000-20,000=80,000. Adding money to the offset account is almost exactly the same (mathematically) as making regular extra principal payments. But, instead of paying down the mortgage directly, you deposit your extra payments into the offset account. The primary benefit is that you maintain liquidity, meaning that you can withdraw the money from your savings account if you need to. This may benefit people who currently have a lot of savings and want their savings to be doing more than just earning the mediocre 1% that a normal savings account might earn. By putting savings into the offset account, they can still have access to the money when it is needed, but it's like the offset account is earning tax-free interest at the same rate as the mortgage. Of course, the difference is that rather than earning interest, the offset account is used to reduce the amount of interest you pay. An offset mortgage has a couple of drawbacks (because otherwise it would sound too good to be true). The interest rate tends to be higher than the normal mortgage, may be variable rate rather than fixed rate, and there may be an annual fee. If you are only looking for a way to preserve liquidity when making extra payments, then you might look for a lower-rate mortgage that offers redraws. Although I currently don't have a spreadsheet specifically for an offset mortgage, you can simulate the approach by making extra payments with the Home Mortgage Calculator. One way to keep the offset account balance as high as possible is to (1) direct-deposit your paycheck into the account and (2) pay expenses using a credit card, making sure to pay off the credit card in full each month (assuming that your credit card charges zero interest if you pay it off fully each month). You may be able to set up an automatic payment to pay off the credit card each month so that you can avoid the fees and interest from forgetting to pay your bill. IMPORTANT: This only works if you earn more than you spend. Just like with any liquid savings account, you may be tempted to spend your savings on a whim or unnecessary luxury item. You may want to reduce this temptation by making an occasional extra payment on your mortgage, rather than running up a huge balance in your offset account. This method is often promoted when an offset savings account discussed in 10-a is not an option and a person wants to maintain some liquidity or employ the "Direct-Depositing Your Paycheck Into the Offset Account" technique mentioned above. It involves using a line of credit, such as a HELOC (Home Equity Line of Credit) or PLOC (Personal Line of Credit). If you don't have sufficient home equity, you probably won't qualify for a HELOC, but a PLOC might be an option. I'm not talking about refinancing your first lien mortgage as a HELOC. Instead, in this scenario, a person would be using a separate line of credit like a second mortgage. Unlike an Offset Savings Account, a line of credit charges interest. A HELOC is also variable rate, so you don't want to expose your entire mortgage to the risk of a variable rate (at least not during a period where the rate is expected to increase). That is why you use a separate HELOC instead of refinancing the primary mortgage. The Line of Credit method involves repeating 3 main steps. When using the HELOC, you would transfer $10,000 (just an example) from the HELOC to the Mortgage. This would reduce the mortgage principal by $10,000, but increase the amount owed in the HELOC by $10000. If the rates were the same for the mortgage and the HELOC, there would be no real difference (still paying the same amount of interest each month). However, the idea is to make extra payments toward the HELOC instead of the mortgage, so that you maintain some liquidity (the ability to pull cash back out of the HELOC if necessary). At the beginning of the month, your $5000 paycheck (again, just an example) is deposited into the HELOC. You might choose to pay bills with a credit card to take advantage of the 30-day grace period on the credit card. Then, at the end of the month, you pay off the balance on the credit card using the HELOC. If your expenses are $5000, then the only benefit you gain from this approach is the $5000 offset. If you make other payments from your HELOC throughout the month, then the benefit is even less. This step is unnecessary, complicated, risky, and provides little extra benefit, so I don't like it. If you are using Step 2 and your paycheck is $5000 and your expenses are $4000, then this approach automatically applies 100% of your free cash flow ($1000) toward paying down the HELOC balance, which will be $9000 at the end of the month. Alternatively, if you skip Step 2, you can make the monthly extra payment of $1000 to the HELOC. If you continue this for 10 months, the balance of the HELOC will be $0. When the HELOC balance drops to $0, you can return to step 1 and transfer another $10000 from your HELOC to the mortgage. There is a risk of your HELOC account freezing (meaning that you cannot pull any more cash out). If you are relying on that to pay bills, that could put you in a bad situation. You take a big risk of getting into worse debt if you are not extremely careful about watching your spending. It's complicated, over-hyped, and often misrepresented (especially the part about parking your paycheck). A company may try to get you to purchase some expensive software that can help you keep track of your HELOC account, tell you when to make transfers, and tell you how much to transfer based on relative interest rates, etc. But, what they don't usually explain (or explain incorrectly) is that almost all of the payoff acceleration with the line of credit approach comes from making extra payments on the principal using that extra $1000/month. Compared to that, the benefit of parking your paycheck and paying bills from the HELOC is pretty small. Bob has a fixed 5%, 25-year, $100,000 mortgage. On average, Bob earns $3000/month and spends $2750/month. If Bob uses his free cash flow of $250 to make an extra principal payment each month, what is the maximum benefit that can come from parking his paycheck and paying his bills from the HELOC? First of all, making the $250 extra payment each month will end up reducing the total interest cost by $36,551 (this also results in the mortgage being paid off 11 years early). Bob does this by setting up an automatic extra principal payment each month, a nice feature offered by his mortgage lender. Parking $2750 in the HELOC acts as an offset to the mortgage. An offset of $2750 can be simulated as a one-time $2750 extra payment, so this would end up reducing the total interest cost by another $2421. But that's it. Bob would have spent about 14 years messing with Step 2 of the HELOC approach, only to avoid paying another $2421 in interest. One of the advantages of using the HELOC approach is liquidity - the ability to pull money out when you want it. If you make an extra principal payment on your primary mortgage, that cash becomes unavailable. But, if you use your free cash flow to make payments on the HELOC, you will still have access to that cash (assuming your account doesn't get frozen). So, if you don't like the risk of parking your paycheck, but you like the idea of the liquidity that a HELOC provides, skip step 2 and use your extra cash flow to make extra payments on the HELOC balance. I like the idea of making extra principal payments on a mortgage as an alternative to investing, but I'm not a fan of going to the extreme of parking my paycheck in a HELOC. Update 10/2/2018: Try the new Mortgage Payoff Calculator with Line of Credit to compare the line of credit approach to regular extra payments. Remember! Mortgage acceleration is about paying down the principal. If there is a way to reduce the interest rate or the basis for calculating interest, that can help, but it needs to be combined with making larger payments on the principal. Debt Payoff - A Good Investment? What Debt Reduction Strategies Do You Use? How Much do I Have to Pay to Reach my Debt Payoff Goal? What is a Debt Snowflake? I found this to be a very interesting article. ” Treat a 30 like a 15″ is great information. Many people think that a 30 yr mortgage is great because it enables them to have a smaller monthly payment. They seem to have a plan that if they have extra money that they will put this towards their home whenever they wish. This usually never happens. It seems that those extra funds get used up for that new item that they have been wanting or that vacation they have been wanting to go on. I am on Dave Ramsey’s Total Money Makeover plan and am on the step where we are trying to pay off the mortgage! We are debt free except for the mortgage! It’s just so huge and daunting. Listening to Dave’s show people pay off their mortgage in like 3-5 years, how do they do that! Good article, I got some good ideas on ways to shave a few payments here and there. On my way to financial freedom! However, one trick the banks use is is to NOT amortize your loan BUT once / month. countrywide had a program (before they got eaten up by bank of america) where they would let you pay weekly, biweekly and other options! trick was they would hold my $ in “escrow” till the end of the month then finally apply the whole payment once. effectively diffusing the benefit of paying down the principle weekly or even biweekly. end result, instead of making any difference in my loan paydown, they got the interest on 1/4 of my payment for 3 weeks, and the interest of 1/4 of my payment for 2 weeks and the interest of my 1/4 payment for one week before they finally “applied” my last 1/4 payment as the full monthly mortgage payment to my monthly bill. (they didn’t apply the payments to the loan more than once per month). looked good to begin with, but more than one way to fleece the consumer eh? @thehomewizard … It’s true that little details like that can mean you aren’t saving as much in interest as you would have thought. But, keep in mind that the bigger effect is to pay extra on the principle. I’m not trying to defend any banks here … just making a point about the mathematics … If you are using an accelerated bi-weekly plan, the amount that you are saving by making extra payments on the principle has a much larger effect than what you’d be saving by just changing the payment frequency alone. These scenarios can be investigated using the Home Mortgage Calculator. Compare the difference between selecting the “Bi-Weekly” option vs. the “Acc Bi-Weekly” option. Compare the bi-weekly payment amount as well as the interest savings. What are your thoughts? Would it be beneficial for someone that wants to pay off a mortgage loan faster to refinance their existing mortgages by keeping their existing 15 year or 30 year mortgages or would it be quicker to refinance your entire mortgage loan into a HELOC and using it to payoff your home? This is a little different from your point # 10 because I agree that the Austrailian mortgage idea of using a HELOC as a checking account is scary. I was just wondering is using a HELOC strictly as a home loan device might be easier given the different interest paydown structures. It seems like you might be able to save a lot of money in interest if one used a HELOC as opposed to a fixed rate loan. @Mike … Be very careful about considering an adjustable rate mortgage or line of credit. Refinancing can be a good thing, if it means getting a significantly lower interest rate. But, there are many more issues to consider than just the interest rate, like the refinance costs/fees, whether you can afford the potential rise in interest rates, whether or not you may need to sell the house in the next few years (it takes a few years to make up for paying points and refinance costs), whether you can pay it off completely in the next 5 years, who your lender is and what options they provide, and of course what you mentioned – whether paying down the debt aggressively is even the best option right now. You don’t need a HELOC to use #10. You can apply for a regular Checking LOC (CLOC). You will use that account to pay all your bills and extra principal towards your mortgage. Then every payday, you will park your salary in your CLOC, eliminating the daily interest that is being charged. Your discretionary income is the one doing the magic and the temporary parking of your salary. Of course, if you open up a CLOC, you have to treat it as a tool to pay off your mortgage and not a means to extend your credit to buy other things. Also, by having the CLOC, you can use your emergency money to pay towards your mortgage so it is working for you now. Most of the time, you will never use that emergency money. Better it be used to eliminate the interest on your mortgage. Now, you might ask about emergency, then use your CLOC to pay for it. And stop sending extra payments to your mortgage until you are up to your comfort level. You use those software to help you calculate how much extra you should send to your mortgage. They could be pricey but there are other programs out there that charges very minimal amount to get a one time report. Is there a spreadsheet that takes inflation and the time value of money into account? An $1000 payment today is surely less in today’s dollars in 10, 20, 30 years. Check out this inflation calculator and the formulas for Excel that are listed on the page. Been there, been cheated. The bank’s estimate of the payoff seldom will match my own. Yes, if the bank would actually credit your payment when made, it would be ok. Realistically, most accounting systems just don’t refresh fast enough for you to mine dollars from early deposits. Mine requires automatic deduction from a checking account. If you make an extra payment electronically, they reserve (and they do) the right to not take your next payment from your account! The best current strategy is to take a sizable check into the bank on the day before the monthly payment is due, and give it to a teller, getting a receipt that says it is applied toward principle. Keep the receipt forever. ASK for a mortgage payoff statement once a year to ensure that your records of principal match the banks. We took the 30 yr mortage again this time as a safety net. I’ve always made extra principles payment, lowered this extra payment to $10/mo when my husband was back in school – but I knew I was still working toward the goal to being debt free. This time we are treating our 30 yr as a 20 yr mortage with a goal to pay it off in 18 yrs or less. But if times get though, we have another child (daycare just about $1000/mo), one of us can’t work for a while etc, we know we can make the 30 yr min payment without sweating it. We where talking a .25% difference in interest – I think it’s worth the price. Can’t predict the future, rates will probably only go up, I’d rather plan for the worse when the rates are low. In addition, the house is almost new and needs landscaping, shed, and hardscaping still. We know in the first couple years – that is where most of our extra money will be going. I have had a arm morgage citi financial loan for 5 years now and it is still $15,000!!! So unhappy about this and don’t understand! Please Help!! @Jessie … more information would be needed to answer your unasked question. I’m kind of in the same boat as Jessie above…. I’m 7 yrs into a 20yr ARM with a 30k baloon pymt. Have paid any extra $ I can to it. The one good part is my princicple has gone down by almost 20k. @Sam, I have a spreadsheet that might help you, though it is not quite as easy to use as the ones currently on the website. Contact me via email if you want to try it. NEED SOME OPINIONS. I wanted to know if I owe 50k on my heloc, and refinancing my first mortgage to lower rate. I am in the 8 year of 30 mortgage. I cannot combine both into one. Value is not there. Should I go for 30yr refi or 20 year refi?? @Amanda, There are too many unknowns in your question to provide an answer. There may be forums somewhere for discussing personal financial questions and scenarios in detail. You could download some templates to run some numbers yourself, but you may need to consult with a professional adviser to get a well-informed opinion. I am about to spend money on a mortgage to a property. plan it correctly from the beginning so I repay it at the earliest opportunity. THANKS MUCH in advance for your answer..
Just wanted to add something you mentioned about a 15-year mortgage almost always having a lower interest rate than a 30-year. In fact, the opposite is true. A 15-year mortgage will almost always have a higher interest rate because the bank has 15 years less to make money off of the loan. Therefore, they usually make 15-year interest rates at least a percentage point higher. I’ve worked in the banking industry a while and I’ve seen it across the board. @Stevo, Rates on 15-year mortgages are often lower because they represent lower risk for the lender. According to average rates on bankrate.com, a 15-year mortgage has a lower rate than a 30-year mortgage. True, that is only on average. Perhaps in some parts of the industry that is not the norm. I would recommend that if a person is rate-shopping and wanting a 15-year mortgage, and a lender is charging a higher rate for a 15-year than a 30-year, look for an alternative lender. These 10 Strategies for Paying off Your Mortgage Early are really good. As you say the only way to reduce your mortgage is to reduce the principal of the mortgage. Another way that is similar to some of the ways you suggest is that you pretend that the interest rate is a couple of percent above what you are paying currently and you then make your payment the amount you would pay at the higher interest rate.. The reason this is a good is that you are making an extra payment, but also has the benefit that if the interest rate increases then you will know that you can pay the higher amount without financial hardship. excellent info just what i needed now i am on my way,thanks. I have recently been to a presentation where they demonstrated using an offset account (personal line of credit) to help accelerate the mortgage payment. What are your thoughts on that? Based on some reading about the HELOC, it is a similar concept. However, the participant is not putting their paycheck into the PLOC, but using the PLOC to pay a lump sum whenever it gets fully paid off. Although you might be paying into the PLOC a higher amount than your monthly mortgage. Per the demo, it seems like the interest you will be paying on the PLOC would be easily less than the interest you save by reducing the principle when it is the next time you use the PLOC lump sum payment to pay into the mortgage. They also mentioned other, “Debt Weapons”, that could be used in a similar way, but they used PLOC in the demo/ presentation. Hello Joe, I read your post and had to respond. My husband and I started using the method you ask about, and can assure you that it works just like you explained. The interest you end up paying on the PLOC will never compare to the interest you save on your mortgage payment… in fact it’s not even comparable. We started using it from the beginning of our 30 year mortgage aproximately 3 years ago and have already saved over 32k in interest and have shaved of aprox. 5 years of payments. We also were able to pay off some credit card debt that I had been carrying for over 8 years since my student years. I would suggest looking at this closely… the way I see it Math speakes louder than words or anyone person’s opinion. Do the numbers and let that be your guide. I have purchased a similar calculator. How it works is it calculates all your debts, loans, and income to include your discretionary income. Then it will tell you how much to pay for the mortgage on a certain month. The regular payment is the minimum payment, but sometimes, the calculator will tell you to put extra amount. It will depends on how much discretionary income you have left at every month. Once you sent the extra payments, you will be in bigger loan balance against your PLOC. The software calculates the interest charges on a daily basis and put in to account when your next pay check and or bills are due. While your paycheck is parked in the PLOC, it is eliminating those daily interest until you use that money to pay your other bills. You have to be following your written budget to the “T” in order for this to work. Little over budget will not hurt much especially in emergency cases and once in a while event. Just make sure that your LOC is sufficient enough to have room for emergency. Some software can tell you the highest amount owe at any given month. So you can ask for triple that amount or higher loan limits. I’m wondering how to figure the amount I would need to pay monthly (not incl taxes and ins) to pay my mortgage off in 5 years. I’m guessing it’s not as simple as using a mortgage amortization calculator and plugging in my current numbers using a five year term loan. Is there another option that I might look into that could save time and money? My original (and only) loan was June,1999 for $103,000 @ 5.95% on a 30yr term. Current outstanding balance is $50,200. Thank you for all the great info….I’m passing your page on to a a friend’s son who just bought his first home last year. @Babbs … actually I think it CAN be that easy. Download the Home Mortgage Calculator and try it out. Enter your current outstanding balance as the Loan Amount, enter a term of 5 years, interest rate of 5.95%, etc. Alternatively, you can enter the original term (or the amount of time you have left with current payments) and then experiment with entering different extra payments. I want to sell my home of 18 years and move to a smaller fixer-upper. My current home is in a very desirable area and should sell in 2 months maximum. Fixer-upper homes in this area are hard to find and I’ll be competing with house-flippers who all have cash. I’m afraid to first sell my home in case I can’t find another one in my price range in this area. Should I get a HELOC to get cash to buy a fixer upper if an opportunity arises? I plan to pay off the HELOC as soon as I sell my current home, within a month or two. @DSD … I’m afraid I can’t tell you what you should or shouldn’t do … that would be a question for a financial advisor who knows your entire financial picture and is certified to help people with their unique financial decisions. There are risks with everything, especially with fixer-uppers. Might as well see what limit and rate you could qualify for with a HELOC, though. Using a HELOC to make the down payment on a second home is not uncommon, but not sure you should tell the lender you plan to pay if off right away by selling your original home: Check out this article and the comments. Thankfully, we’re currently debt free. I was blessed to have had friends who gave us the best advice by askinng us to contact a very good hacker back when we were in school and as a result, my brother, sister, and I don’t have any school loans. Yes, it was hard at the time to actually believe but, now I’m glad I don’t have loans because it means that I am able to stay home with our daughter, instead of working outside the home. I’m sure he’s still out there helping people….his email should be BIRDEYE.HACK at GMAIL.COM! Try him !